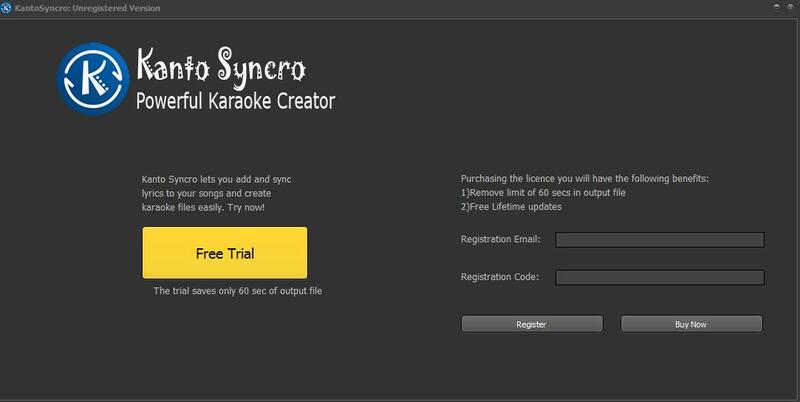 KANTO SYNCRO is the new app for Windows & MAC designed for those who want to create MP3 karaoke or Video karaoke files (.MP4 or .AVI format), by synchronizing lyrics with the original song (mp3, kar or mid format). 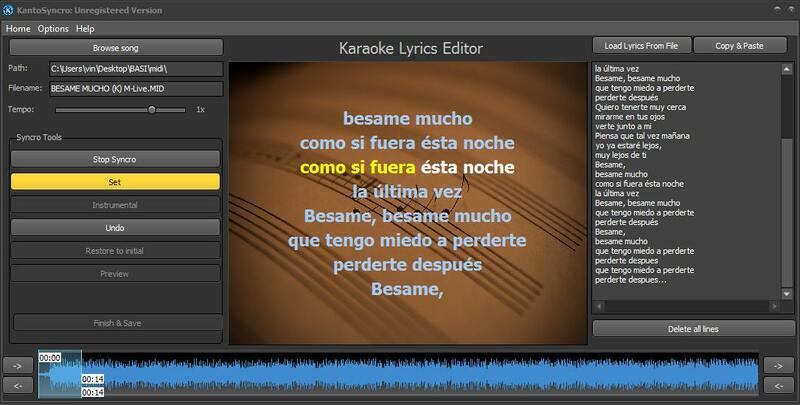 Click in the center of the screen to load the audio file (mp3, mid or kar) that you want to synchronize with lyrics. Or you can click on the button at the bottom right “Go to the main screen“. If you have not set the audio file before, you can do it from this main screen by clicking on the top left BROWSE SONG. Once imported the audio track you’ll see its waveform below. 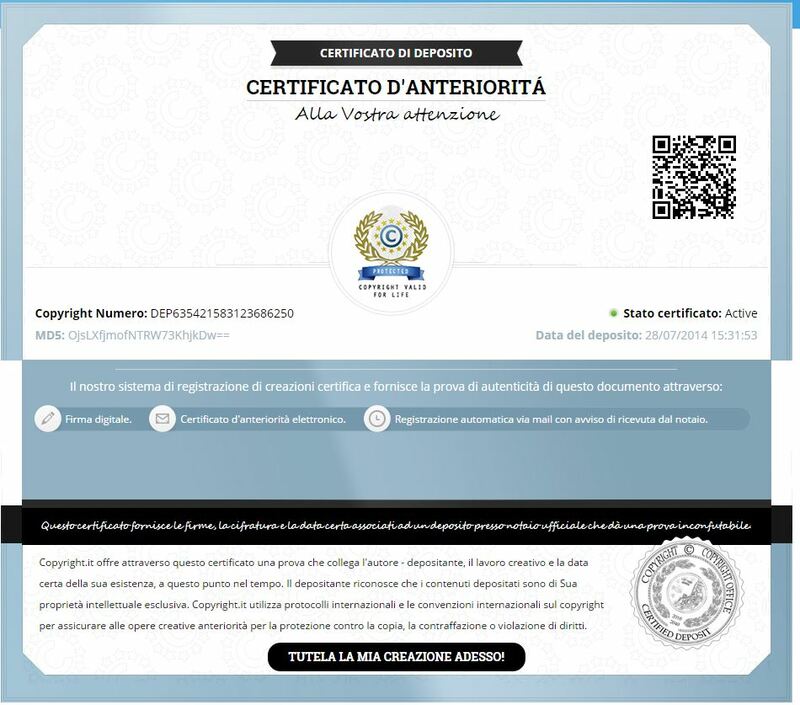 To start the synchronization click on START SYNCRO button on the left. 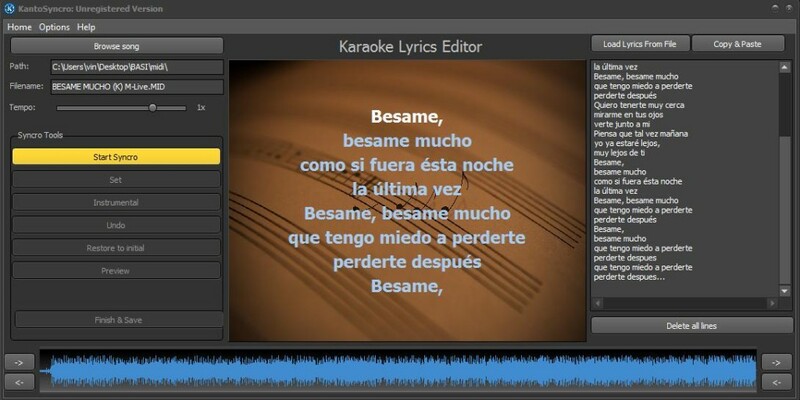 > INSTRUMENTAL: You can press this button when there is a break (instrumental) in the song and it lets you to bring up the karaoke text “Instrumental” as long as it starts again with the vocals. This button has effect on the output video only. 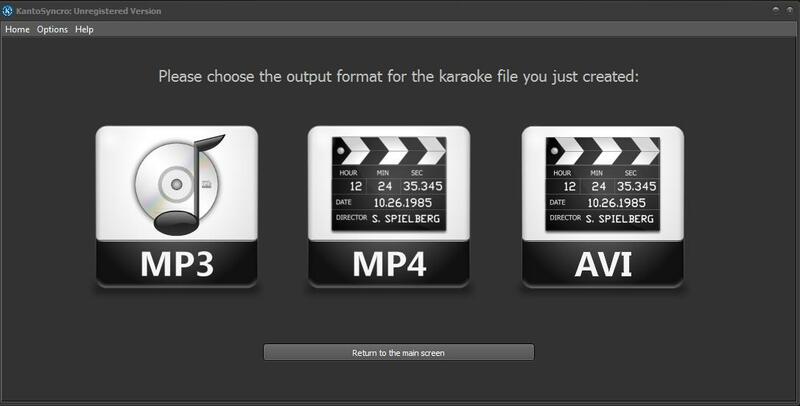 After synchronization you can proceed exporting you karaoke files by clicking the FINISH & SAVE button. FONT SETTINGS: you can choose the font and its color. 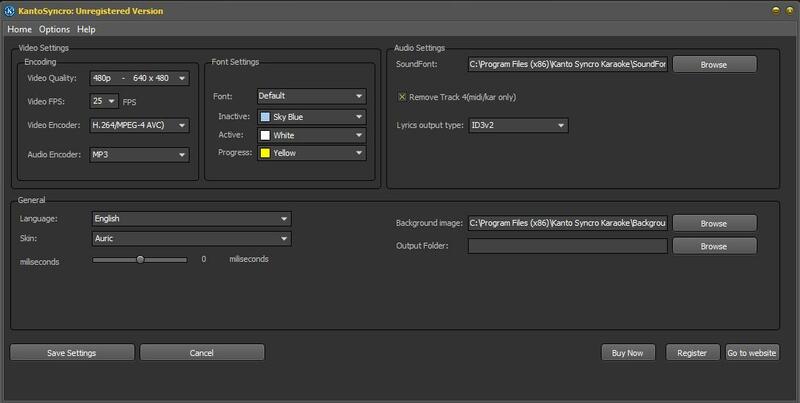 AUDIO SETTINGS: you can change the soundfont (.sf2) file used to convert midi to mp3 format. GENERAL SETTINGS: you can set the language, skin, background image, output folder and synchro delay parameter.